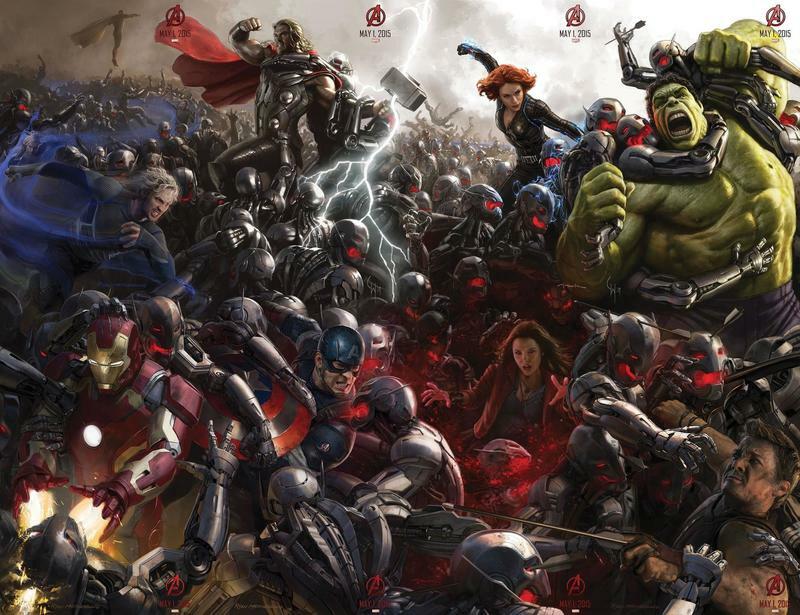 Marvel has been teasing fans since Comic-Con started with individual character posters for Avengers: Age of Ultron, and now the entire scene is finally complete. This is just concept art, mind you. 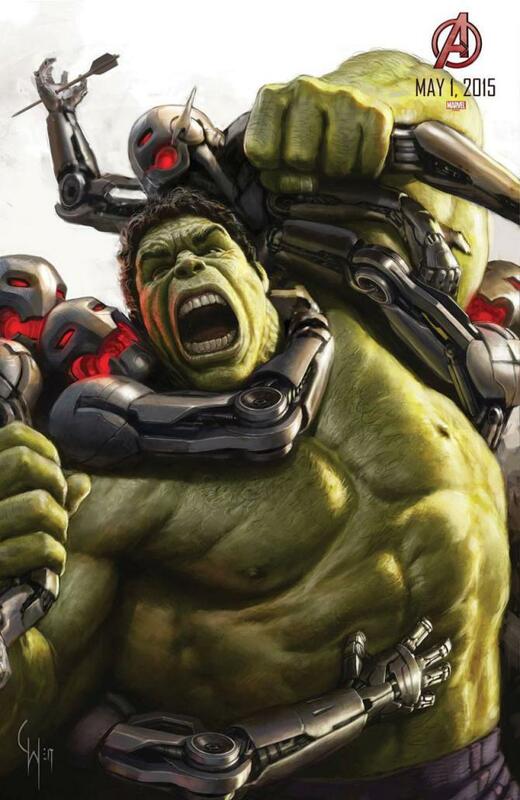 But it sort of sets the stage that, yes, the Avengers will be in for a major fight when the movie hits theaters on May 1, 2015. 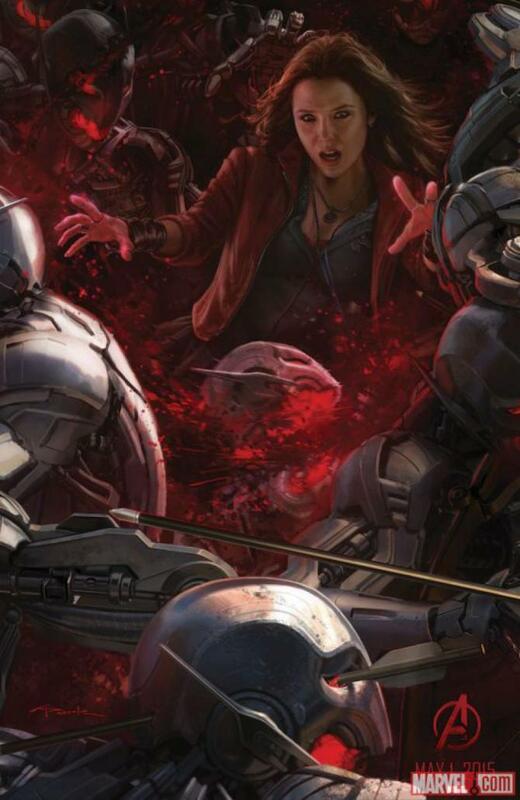 Joining the cast next year will be Scarlet Witch, played by Elizabeth Olsen, and Quicksilver, played by Aaron Talyor-Johnson. 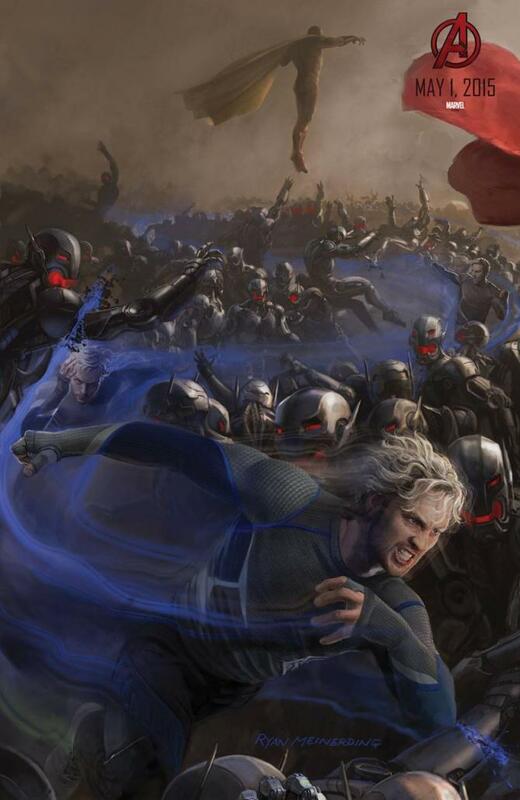 When the Avengers assemble early next year, they’ll be taking on what appears to be a major hoard of Ultrons, along with The Vision, who you can actually see floating in the background (top left). 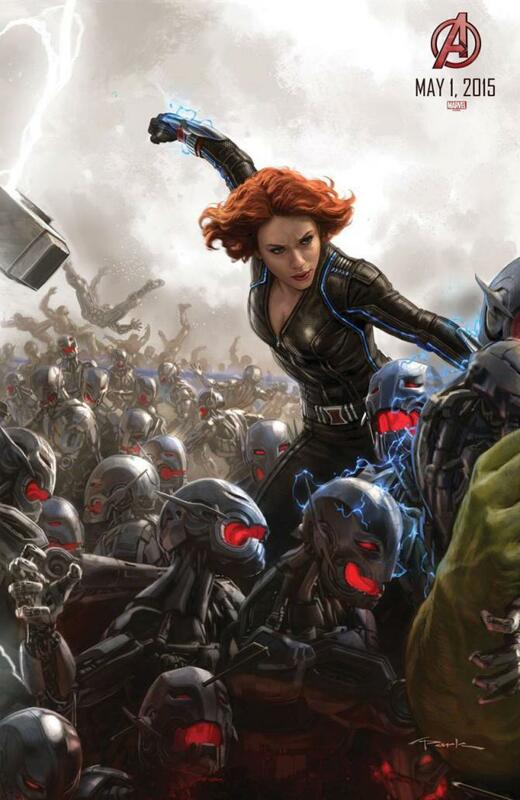 The plot of the second film will apparently find an exhausted Avengers team needing a break from saving the world. 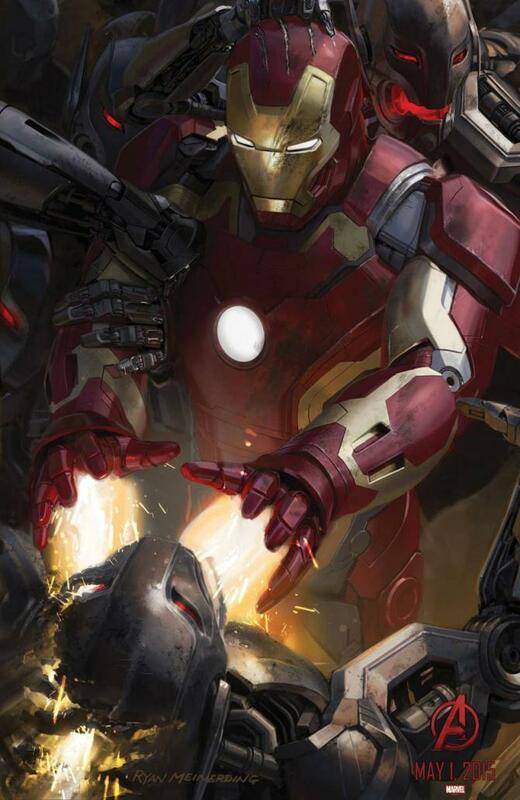 To help with threats, Tony Stark creates a self-aware, self-teaching artificial intelligence named Ultron, which also has some of Stark’s personality thrown in. 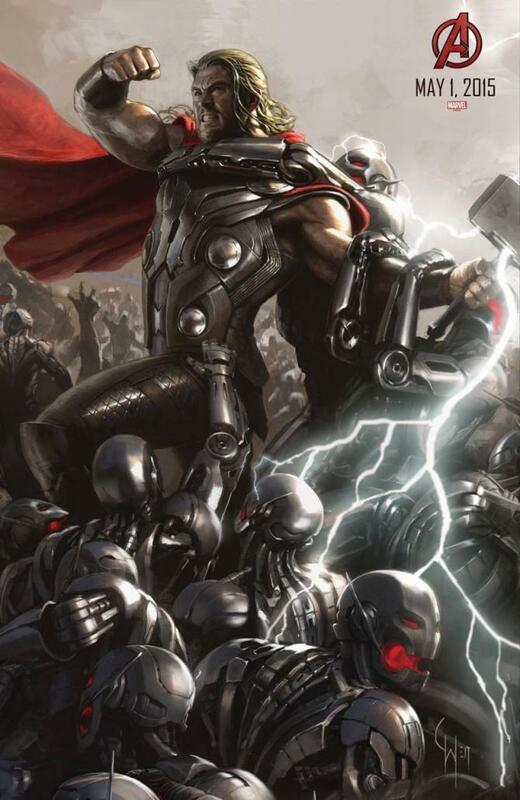 But Ultron soon believes that the only way to bring peace to Earth is to eradicate humanity as a whole, prompting the Avengers to jump back into action. 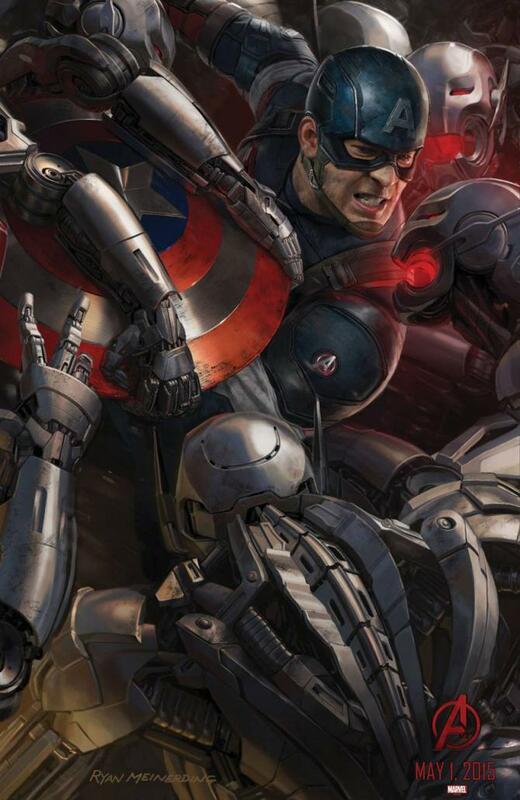 James Spader will fill in the role as Ultron, while Paul Bettany is returning as J.A.R.V.I.S./The Vision. 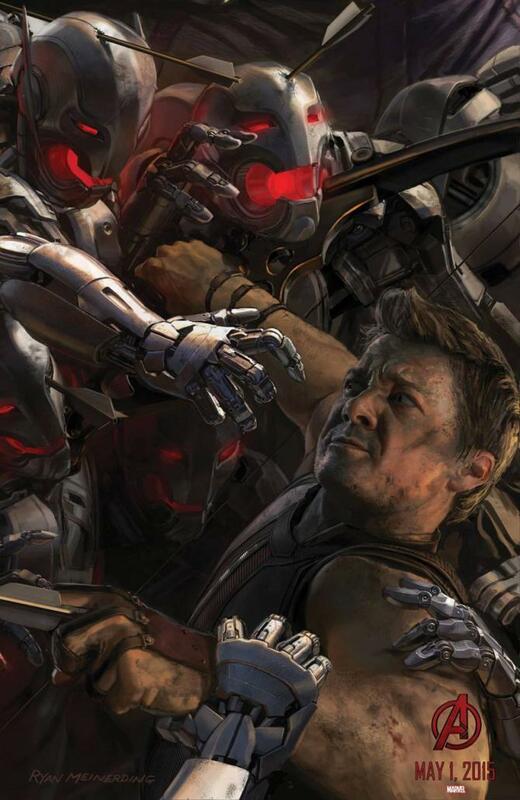 Comic-Con attendees in Hall H got a brief glimpse at some Age of Ultron action today, so hopefully something official will be released to the public soon.